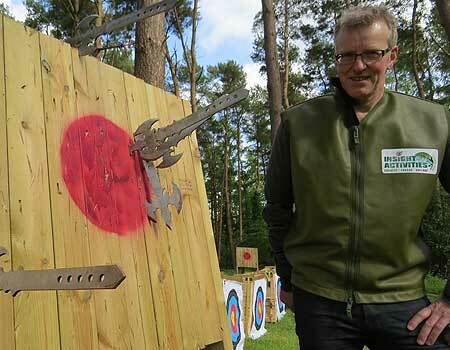 This is our most popular session. 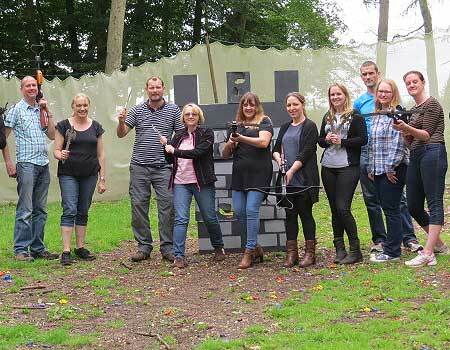 This combined 3hr medieval activity session consists of Archery with Rifle Crossbows and Axe Throwing. You will not be split up as a group (maximum team size of 24). 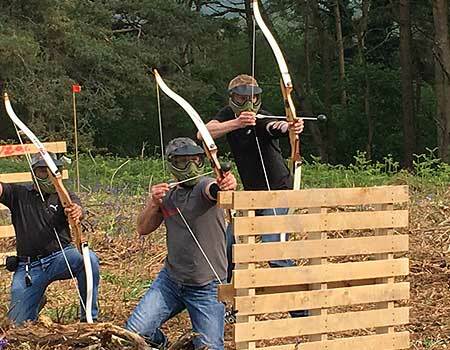 The 3 shooting ranges are all next to eachother so you will always be able to see what everybody else is doing and challenge them to a friendly competition. 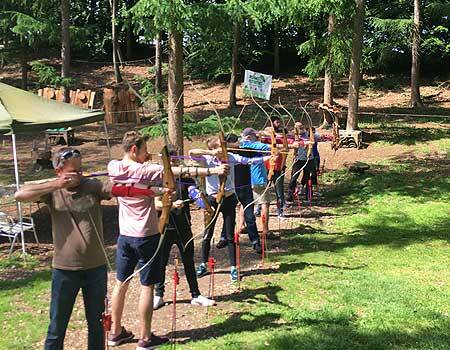 Expect a relaxed yet professional activity session in a rustic woodland. Available in both the New Forest and in Tolpuddle Dorset. 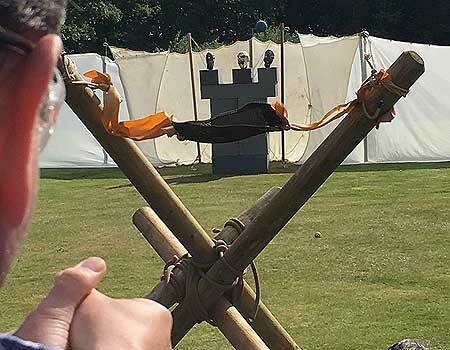 The aim of the session is for the group, or sub-groups to build their own ‘ballista catapult’ with the purpose of shooting projectiles at a ‘Castle’ themed target. 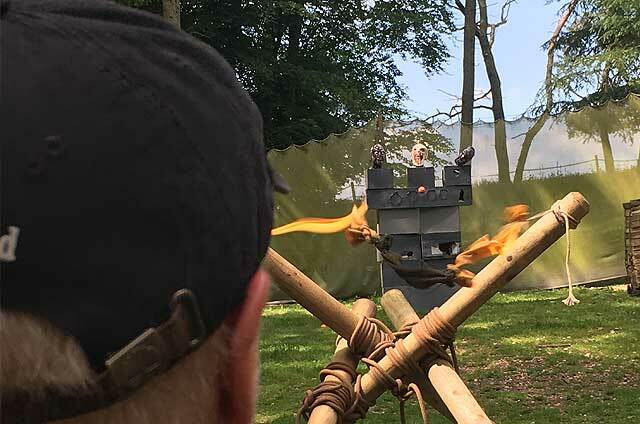 The group will be shown some suggested designs, construction and rope lashing techniques. Its then over to them to collectively decide on their design and construct their siege engine. 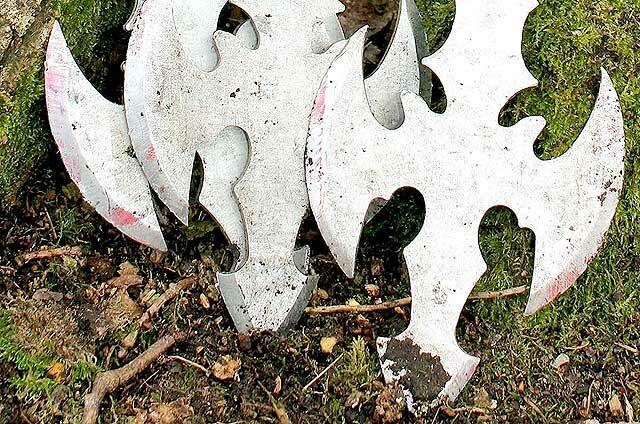 Destroy the castle…Let the fun commence! 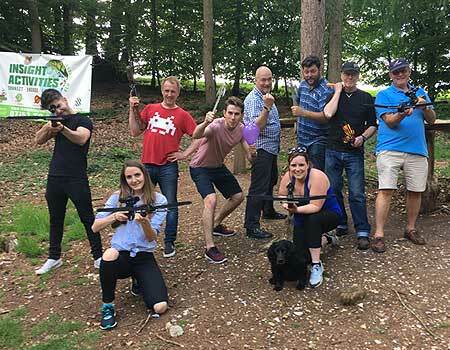 We have over 15 years experience in the team-building industry and can also provide a number of initiative tests and creative team tasks to assist with team development. 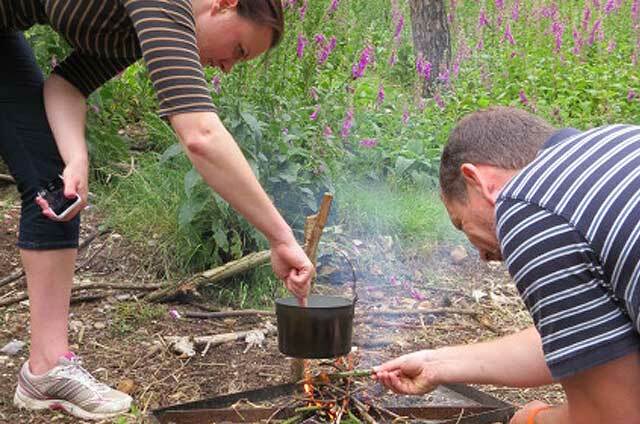 These tasks will be managed by an experienced outdoor facilitator and learning will be reviewed and related to the workplace. 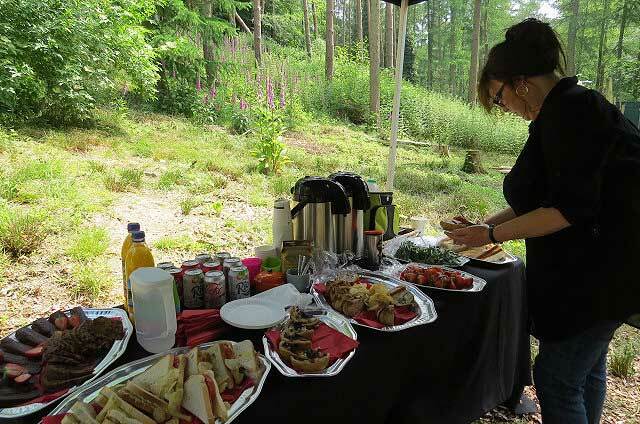 Quality local food is pre bookable for corporate events in the New Forest and also in Tolpuddle, Dorset.